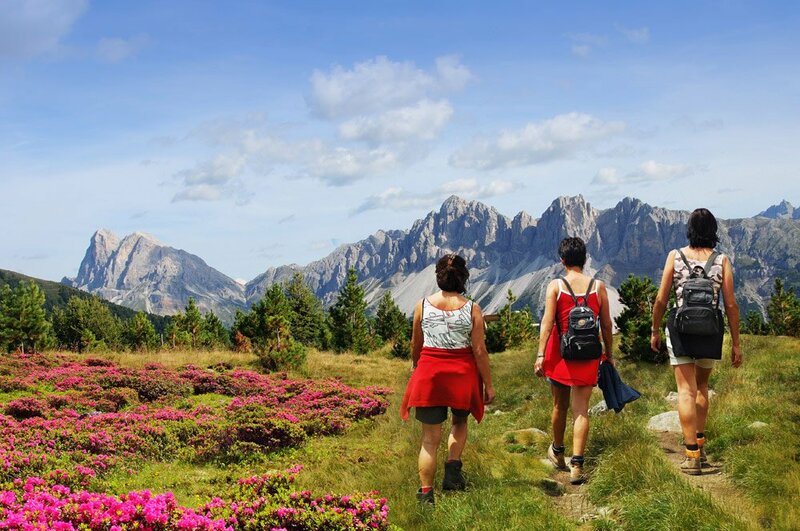 The Alto Adige mountains along the Isarco Valley present the perfect setting for expert hikers on trails with differentiating landform graduations on high or low mountain. 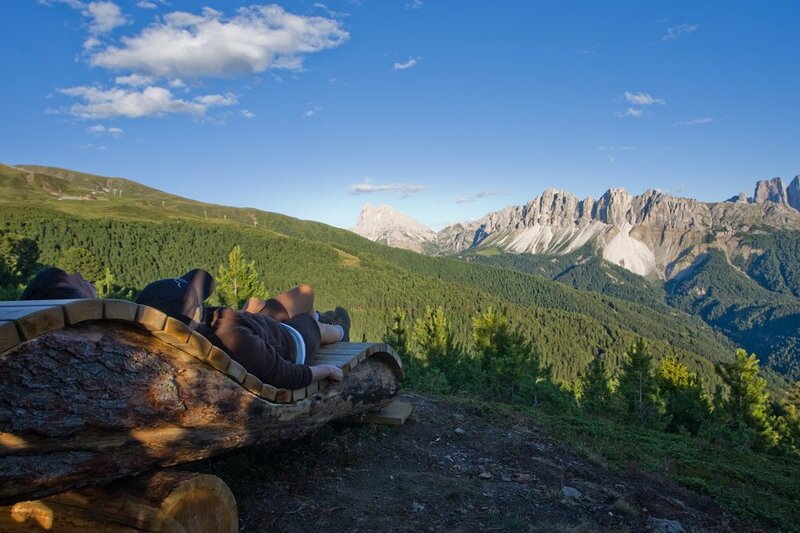 Whether it’s fresh mountain air and an unforgettable vista of the valley and Dolomites atop Bressanone’s “Alta Via” or, 10 minutes by car from the Moarhof Residence, the “Rifugio” Chiusa or even the Cross of Latzfons (Croce di Latzfons), all trails, simple or difficult, are certainly worth the effort and the sights. The simple alpine trail is ideally suited for families with children and leads to a small chapel next to the Latzfons Cross: classified among the most elevated of churches in Europe. 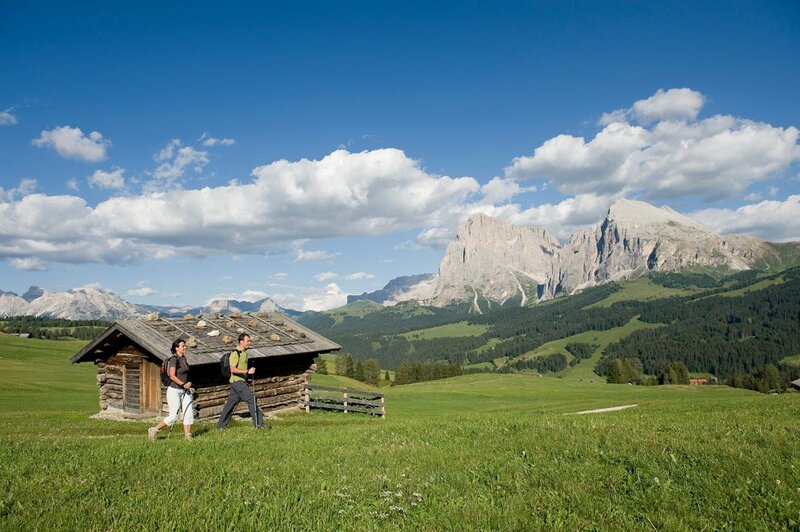 The Isarco Valley is a mélange of idyllic and splendid mountain trails situated on high ground. On Bressanone’s local mountain, the Plose, there’s the easy graded panoramic trail, perfect for children, that leads to the Rifugio Rossalm. Treat yourself and your family at the mountain eatery with terrace and gamepark. Savor the specialties of the regional cuisine and watch your children have fun. In the municipality of Velturno, there’s the trail that leads to the beautiful Rodella Lake high above the valley basin of Bressanone. Rodella Lake is 2,255 m above sea level. ”Il Rifugio Lago Rodell” / “Radleseehaus” adjacent to the lake is open during the summer months. The Moarhof Residence is strategically situated near many of the mountain excursion areas. A 25 minute excursion will take you to the uncontaminated alpine plateau of the “Alpe di Villandro” mountain pasture with its breathtaking view. On occasion, buck and deer can be seen gathering and climbing alongside the mountain’s ridges. From here hikers can get to the “Alp of Susi at the foot of the Sciliar”, Europe’s largest Alpine plateau with over 350 km of noted trails and magnificent crest views of the Dolomites (“Sasso Lungo” and “Sasso Piatto”). The picturesque village of Val di Funes is a 20 minute car ride. The dominating pointed peaks of the Alpine chain in Alto Adige are definitely those of Odle, an impressive 3,000 m summit piercing the heavens.